Look out Lotus - there's a new contender in the lightweight sports car market. While there’s plenty of competition out there, nobody makes lightweight, sprightly sports cars quite like Lotus does, and America will soon realize why as the British automaker is gearing up for its belated US comeback with the Lotus Evora Sport 410. Now, the aptly named Danish automaker Agile Automotive has Lotus firmly in its sights with two lightweight sports cars: the SC122 and its more savage sibling, the SCX, both available in road-legal and track-only guises. Details are scarce for now, but what Agile Automotive has revealed so far certainly has our attention. 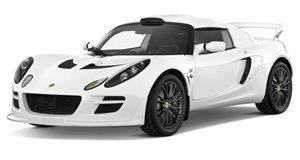 The SC122 looks like it could be a rival to the Lotus Exige, featuring a lightweight body and supercharged 3.5-litre V6 engine mated to a five-speed manual or seven-speed sequential race transmission. Notably, the SC122 has the advantage over the Exige in terms of raw power, as Agile claims it will produce 419 horsepower, but hasn't detailed how much it weighs. A less powerful model will also be available fitted with a naturally-aspirated V6. The SCX (standing for Sports Car eXtreme), on the other hand, looks to be the Danish equivalent of the Ariel Atom. It’s significantly lighter than its SC122 sibling, since it removes any “unnecessary” body panels – including a windshield, doors, or roof. Power is sourced from either a naturally-aspirated 2.0-liter Toyota engine with 180 hp, or a supercharged 2.0-liter producing 250 hp. Aside from Zenvo, Denmark isn’t widely recognized as a serious contender in the sports car market, so it will be interesting to see if Agile Automotive can change that perception and make its mark in a market where Lotus is already established as the long-running leader.